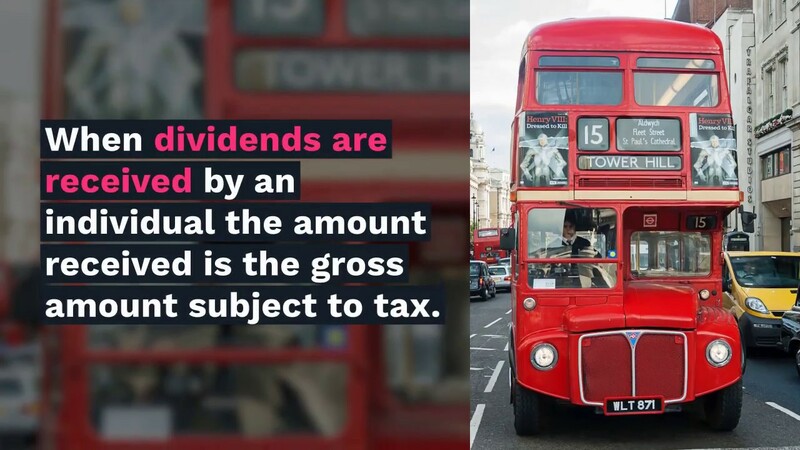 Dividends within the allowance still count towards an individual’s basic or higher rate band and so may affect the rate of tax paid on dividends above the £2,000 allowance. In addition, assets held for capital growth could be transferred to dividend paying investments. Any gains realised by the investors on the sale of assets would be exempt up to the CGT exemption which is £11,700 for 2018/19 (£11,300 for 2017/18). Further gains over this amount are only charged to tax at 20% for higher and additional rate taxpayers following the reduction in CGT rates from 6 April 2016. Mrs B has a salary of £42,000, interest income of £1,000 and dividends of £2,000. Although the dividends are covered by the DA, Mrs B’s total income is £45,000 so she is a higher rate taxpayer. She would therefore only receive £500 of SA against the £1,000 of interest income. Where savings income exceeds the SA, there will be tax to pay on the excess. HMRC have indicated that they will normally collect this tax by changing individual’s tax codes. To allow them to do this they will use information from banks and building societies. However in some cases HMRC have been overestimating the amount of interest people are likely to earn and adjusting their coding accordingly. So it is worth checking coding notices when they come through. Take care if you make Gift Aid donations. A charity can reclaim the tax on a Gift Aid donation only if the individual has paid the amount of tax being reclaimed. 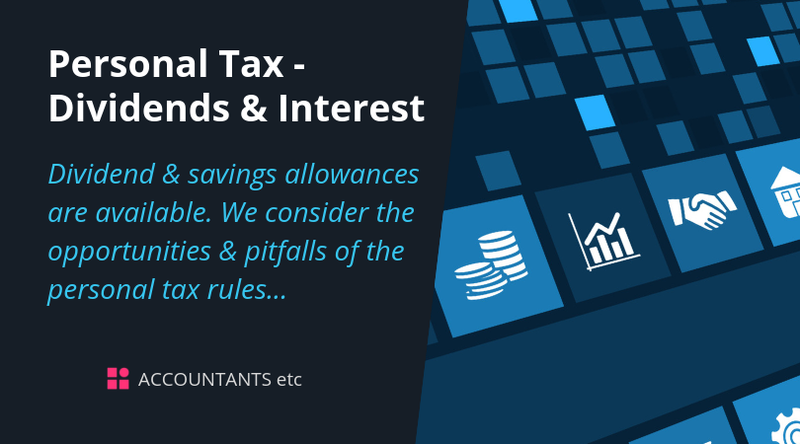 Prior to April 2016 this tax would have included dividend tax credits and tax deducted at source on interest income. Following the introduction of the SA and DA, any income within these allowances is not taxed so the tax reclaim by the charity does not relate to tax paid. Where this happens the individual is responsible for ensuring that the donation is covered and HMRC have powers to recover any shortfall from the taxpayer. So people with lower levels of income and dividends or savings below the DA or SA amounts who make Gift Aid donations could be affected. Individuals will need to withdraw any Gift Aid declarations that they have made to ensure that they do not get hit with a tax bill. The introduction of Dividend and Savings Allowances may also mean it is time to consider the allocation of investments between husband and wives or civil partners. If just one partner has investments generating dividends or savings it could be beneficial to transfer part of the investments to the other partner to ensure they receive income which utilises their DA or SA. Any transfer of assets between husbands and wives or between civil partners who are living together can be made without any capital gains tax being charged. With savings rates generally being at about 1.5% - 2% utilising the £1,000 basic rate SA would mean having interest earning assets of between £50,000 and £66,667. For dividends, assuming an average yield of 3%, the investment level would be £166,667 to fully utilise the £5,000 DA. With more allowances available to taxpayers it is important to make sure full use is being made of the tax free amounts. There are a number of areas where you may need specific advice depending on your circumstances so please do not hesitate to contact us.